Perfecting brisket is practically the holy grail of BBQ stardom. This delicacy takes proper knowledge and expertise to please most crowds. Well, its time Just Grillin Outdoor Living shares with you how to do this. Get hands on in this exclusive class that’s limited to just 12 seats on Saturday, April 27th. 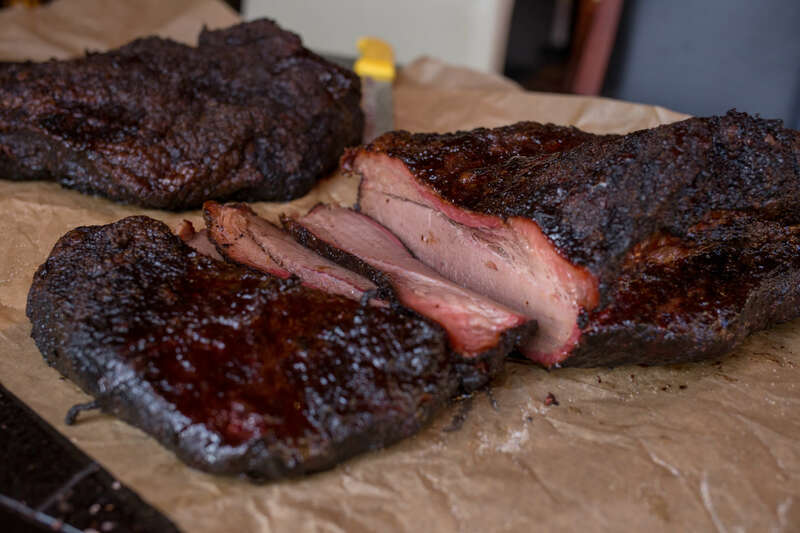 Learn how to set up your smoker, use wood for flavor, trim, inject, pair seasoning flavors, hot & fast method, traditional low & slow and slicing. All class participants will be taking home their own brisket to prepare and an injector. We’ll utilize three grills in the class including a charcoal grill (Kamado Joe), pellet grill (Yoder Smokers) and a gravity-fed charcoal smoker (Myron Mixon Smokers). We are updating the way our clients’ shop with us online so, for now, please call our store to register. Seats are $150 per person. Remember, seats are limited to 12 participants so everyone can get a more personalized experience. Don’t waste time and call now to secure your spot!